No one likes YouTube Rewind 2018, but that shouldn't come as a surprise. This year's YouTube Rewind was a disaster, though not for the reasons you might be expecting. 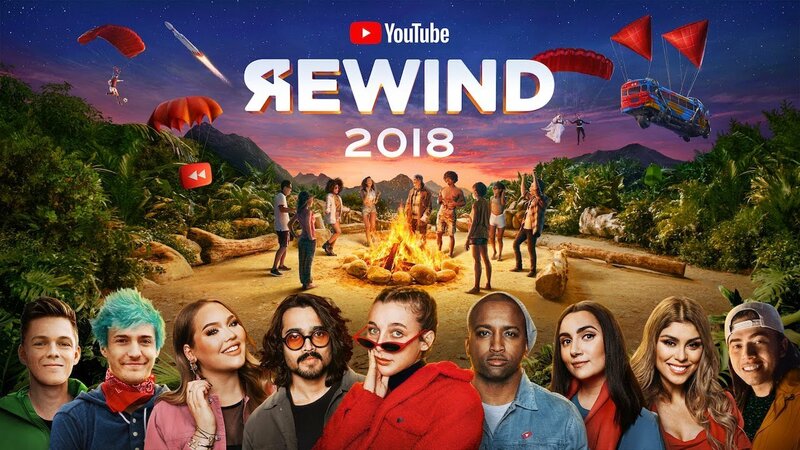 YouTube Rewind 2018 has ended up as the most disliked video in the history of the platform. It's amassed over 10 million dislikes, eclipsing Justin Bieber's 2010 hit "baby," which nearly hit 10 million dislikes. It took the video eight years to gain that many, however, while the YouTube Rewind only took eight days to get there. The clip begins with Will Smith talking about Fortnite for some reason, then it cuts swiftly to a group of YouTubers in a bus hovering over a Fortnite map. Ninja's there too, of course, despite not really being a YouTube star. Then there's some nonsense going on with YouTube stars standing around a campfire discussing what the video "needs." Then there's a nightmare mashup of stars dancing to K-pop they've probably never actually listened to, Casey Neistat, and mukbangs. There's also a really bad remix of Cardi B's otherwise awesome 2018 banger "I Like It." While the older YouTube Rewind videos at least made sense in some cohesive manner, this clip is a mashup of some of the most cringeworthy moments of the year, including personalities like the terminally unfunny Trevor Noah flossing. There's also some animated YouTubers singing Drake's "In My Feelings," which sounds like a car wreck. Then the video praises "doing something bigger than yourself," which has some of the most painful dialogue I've ever heard in a video, ever. There's even an ASMR segment. Honestly, you just need to watch it. It's an actual travesty. There's a clear disconnect here between the YouTube that the platform wants to present to its advertising partners and its actual audience, and it's plain to see where YouTube's interests actually lie. It shouldn't really come as a shock that the same platform that Logan and Jake Paul consistently flock to so they can hold onto their fifteen minutes of fame has produced a video that's so massively disliked by its audience, though. It was always an injustice, anyway, that Justin Bieber's "Baby" held the distinction of the most-disliked video previously. It may have been cool to hate on Bieber back then, but there's something even hotter to hate on now, for good reason: this absolutely awful, grating 8-minute video. I'd say his analysis is pretty spot on. Well, at least they had Lucas the Spider. I think the word you were looking for was tragedy, not travesty. No, the word I was looking for was definitely "travesty," and that's what I used. Okay, and what is this video a false representation of, then? Well, "It's an actual travesty. There's a clear disconnect here between the YouTube that the platform wants to present to its advertising partners and its actual audience, and it's plain to see where YouTube's interests actually lie." Seems to me that is suggesting that the video gives a false representation of the actual content and audience of Youtube, which does seem a plausible extrapolation if one assumes the majority of the dislikes were natural rather than a score-bombing.